I’m not going to lie, the last few weeks have been CRAZY in the Prescott house. Parenting, homeschooling, working a bit on the side (The “side” of what? Being a mom 24/7 to three kids who hate to sleep? ), traveling here and there, making passable efforts at housekeeping and meal planning, adding and adding to a mile-long to-do list…you get the picture. With all of that going on, I feel like we must already be a few months into the school year, right? Then I snap out of it and realize this is only the beginning. Week 3, in fact. What’s more, with my oldest two only in second grade, there is a long road ahead. It’s times like these that I realize I just have to pray myself through each day. I simply do not have it in me to do this alone! So what do you do when you are already stressed out on Week 2 of your homeschool year? Take a field trip, of course! A few years ago we visited Georgia Aquarium in Atlanta and wanted to revisit now that our twins are older. If you ever have a chance to go, you will not be disappointed. 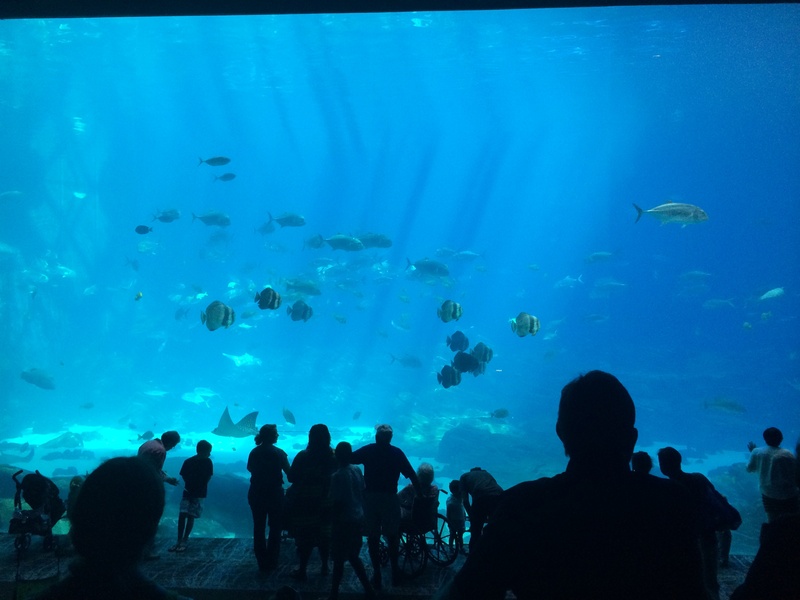 Georgia Aquarium is the largest aquarium in the world with over 10 million gallons of fresh and salt water and a host of beautiful and amazing aquatic creatures everywhere you look! Our entire family loved Georgia Aquarium. In fact, I could not actually get my 2-year-old son to respond to me at all for the first half an hour of our visit. He was completely mesmerized by the fish and couldn’t take his eyes off of them! 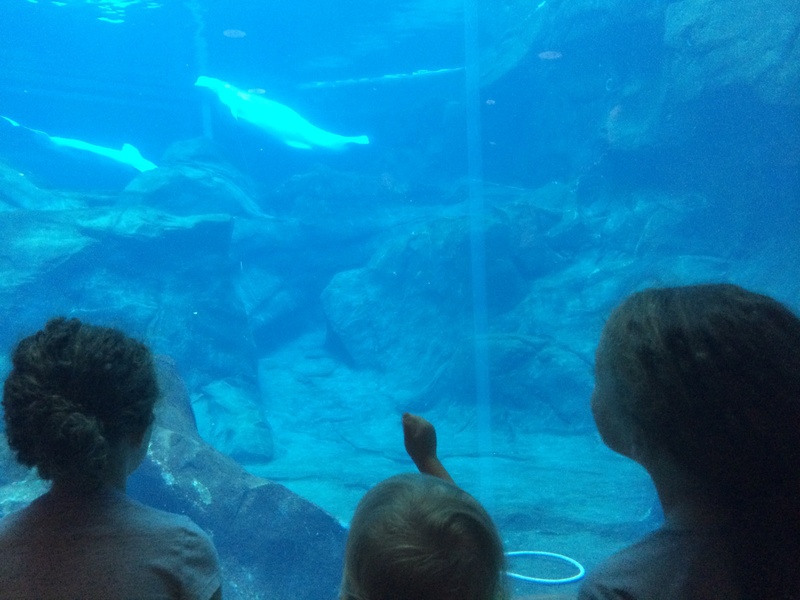 My children were particularly captivated by the massive Beluga Whales, adorable Sea Otters, and the many special exhibits designed just for kids. You can ride on a conveyer belt straight through a tunnel of fish swimming around and above you (including massive sharks and rays) or pet jelly fish and star fish in one of the shallow “touch” pools. 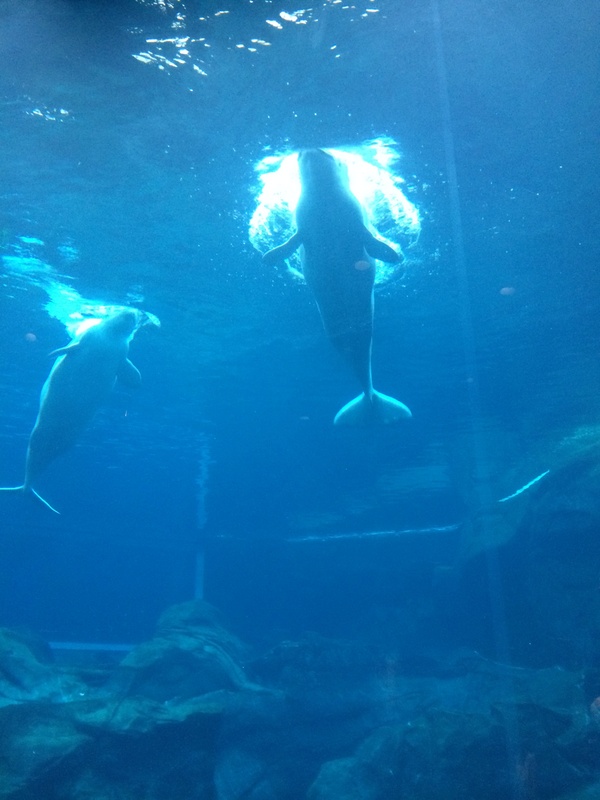 The dolphin show, one of the newer exhibits, is truly amazing, incorporating music, lights, and visual effects. The results are absolutely magical. I looked over at my daughters during the show and their jaws were literally hanging open. I am pretty sure I looked the same way! With the price of tickets, parking, and gas to travel to Atlanta, (not to mention hotel costs) the trip was a little high for our typical “field trip” budget, but I have to say it was totally worth it. Our visit was unforgettable and certainly a great attitude re-set for the weeks ahead. Now to re-focus and move forward. Next week I have a feeling our lesson plans will include some aquatic art lessons and a trip to the library to research some of our favorite fish. With more and more parents questioning the public school system and our nation’s academics falling lower, nearly everyone understands the reason for homeschooling. The question now is, “How do you do it?” This early in the game, I admit that question is hard for me to answer. I’m still working it out year by year, grade by grade. I guess my complete answer at this moment is, “I homeschool by the grace of God!” Without His hand on our family, I wouldn’t have the determination and energy for this task. More specifically, the market is brimming with curriculum, extra curricular activities are abundant, and classes, enrichment and co-ops for homeschoolers are, in most areas, easily accessible. Interested parents need to realize that homeschooling is attainable. I am sad to encounter parents who genuinely want to teach their children at home but feel they are not up to the task. Believe me, you can do it! Homeschooling isn’t for everyone, but it is a viable option for many families. The resources are available. The support is attainable. And the results can be very satisfying. 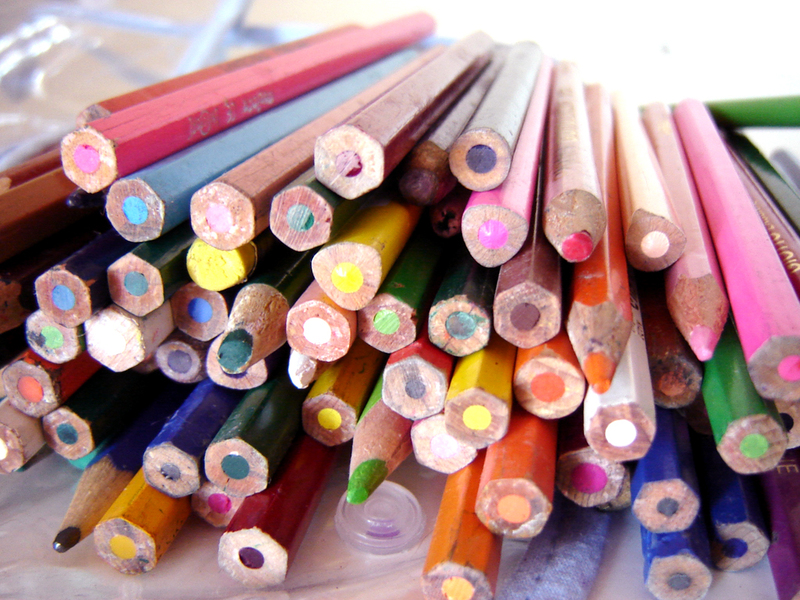 Feel free to ask me whatever you want about homeschooling, I love to write and chat about it. I will answer questions to the best of my ability, based on my childhood and our current situation. Whatever you do, just don’t ask me if my kids are “socialized.” That question is SO early 90’s.